Riverside Shutters - Are They Right for Your Home? Do you know what type of window coverings are right for your home? 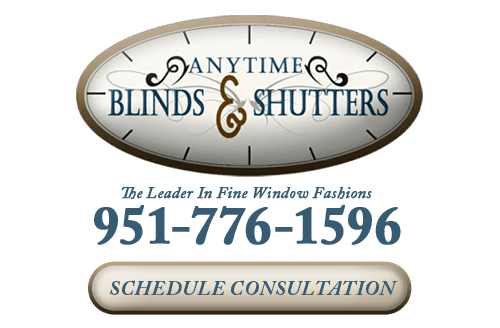 Should you choose window blinds or shutters in Riverside? It’s a more difficult decision than some people think. No matter what kinds of window treatments you choose for your home, they’ll have a huge effect on the way that it looks and feels. When it comes to interior design, the smaller elements can often have the biggest effects on the atmosphere that you create with your home decor. Window treatments can help you vastly improve your interior design, and that’s only the beginning of the benefits that they can provide. Choosing the right kind of window treatments for your home can be difficult, which is why our Riverside shutter company offers free consultations to help homeowners select the right products for their tastes and styles. The type of window treatments that you choose for your home will depend on your personal preferences, but our professionals recommend shutters for many different uses. Window shutters in Riverside offer a number of great advantages and benefits that any homeowner can enjoy, such as the following. Shutters require very little attention, and as long as they’re properly cared for, you won’t need to do much more than dust them and wipe away fingerprints from the panels. Most of the time, shutters can be cleaned with little more than warm water on a cloth. Shutters are very durable and they’ll last for your years before they need to be replaced. After you’ve selected the shutters you’re having installed in your Riverside home, our experts will provide you with free measurement and installation services. Our professional shutter installations will guarantee that your window treatments can provide your home with excellent light control and superior insulation, which can lower your cooling costs every month. 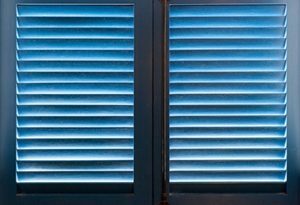 Other types of window coverings will need to be replaced many times over the years, but shutters can last for a much longer time. As long as you take proper care of your polycore or wood shutters in Riverside, you’ll never need to replace them. This saves you money on replacements, and it also increases the value of your home. Shutters are the perfect match to nearly home decoration style. They’ll immediately add a sophisticated look to your Riverside home’s interior. 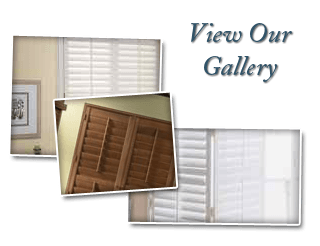 If you’re looking for a great selection of shutters in Riverside, call Anytime Blinds & Shutters at 951-776-1596, or fill out our online request form.